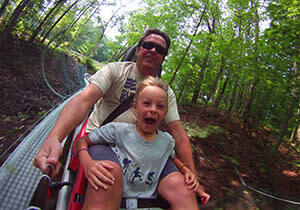 The Mountain Coaster is similar to a roller coaster but is low to the ground and follows the contours of the terrain. 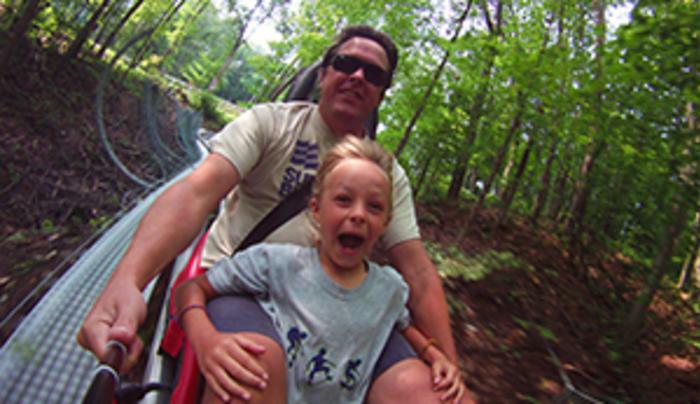 Ride alone or with a friend in a “car” attached to rails that pulls you up the hill, then follows a zig zag spiral path down the mountain. You control the speed of your car with levers. Age and height requirements.